All in a variety of colours and ages. 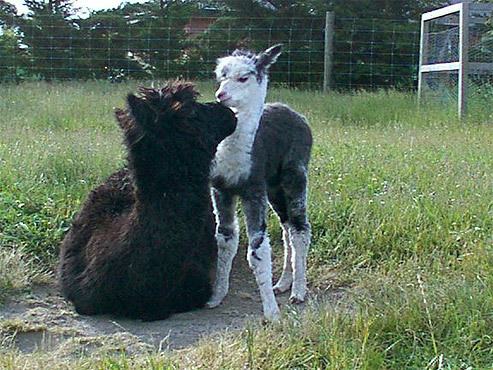 For more details on alpacas currently for sale and export, please refer to ‘Our Alpacas’ section of the website. We have a large colour range of raw fibre for sale all at various microns and staple length. Come and have a look and see if there is anything that suits you. 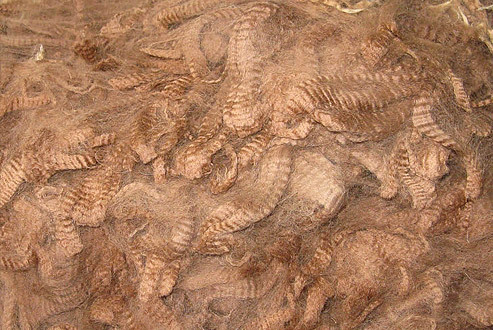 With our link to other partners in the Kiwi Farm Alpaca Group we may be able to source a colour or fleece that you are interested in but we currently don’t have in stock. Also there is a large range of spun yarn and knitted clothing available from the Kiwi Farm Alpaca Group. Contact us with your requirements. 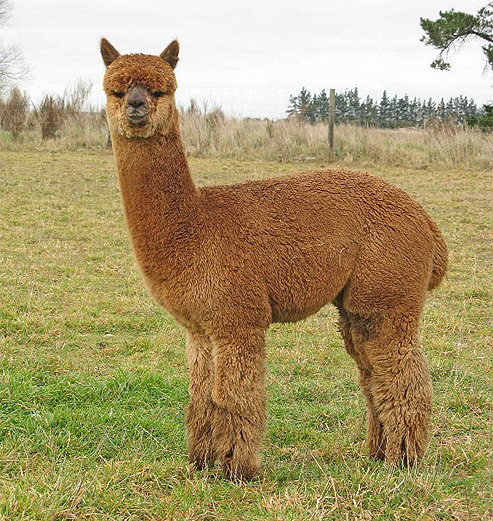 Starlight Alpacas are proud to own a multi-award winning brown stud male called ‘Aquaviva Cadbury’, in partnership with ‘Double M Alpacas’ of Huntly. He has won (amongst many other titles) Champion Brown Alpaca at both the 2013 and 2014 National Alpaca Show in either fleece or breed classes. His progeny are looking promising and we are keenly awaiting next season’s progeny with interest. Starlight Alpacas have been pleased with this white stud male. He has made a great improvement on the quality of our white herd and will use him again this breeding season to continue on that improvement. 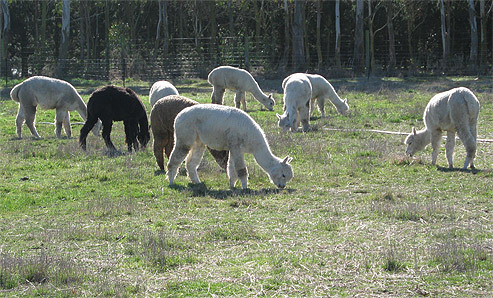 For more details on these stud males, please refer to ‘Our Alpacas’ section of the website. Take advantage of Starlight Alpacas experience and in particular Kevin’s judge training to help evaluate and report on alpacas you are interested in purchasing. A standard report can be written summarising the alpaca’s conformation and fleece quality including basic health condition. The appraisal is not a substitute for a more detailed vet examination and Starlight Alpacas recommend that the Pre-Purchase Alpaca Appraisal is in addition to a vet examination. Starlight Alpacas can offer you options on how to develop your farm or lifestyle block for not only accommodating alpacas but also in regard to any Civil Engineering and Landscape advice. Kevin holds a New Zealand Certificate in Engineering (Civil) and has qualifications in general landscape design. So for integrated advice for your lifestyle block which covers irrigation, fencing, yards, drainage, driveways and landscaping contact Starlight Alpacas. Starlight Alpacas pride themselves in offering good customer service and ongoing support for all the services they offer. They are always happy to share their knowledge and lessons they have learnt through having alpacas and owning a lifestyle block since 1998. Continued support can be arranged to shear, vaccinate and trim the toenails of those alpacas purchased from Starlight Alpacas and residing within 100km of Swannanoa for a small charge.